Pygmy rabbits: they’re the fuzzy, hopping smallest rabbit species in North America, and they may also have distinct personality types. Megan Whetzel, 21, a senior at the University of Idaho from Ukiah, California, majoring in wildlife resources, was given an opportunity during the summer after her sophomore year at U of I to study whether or not pygmy rabbits have different personality types, on a spectrum of shy to bold. 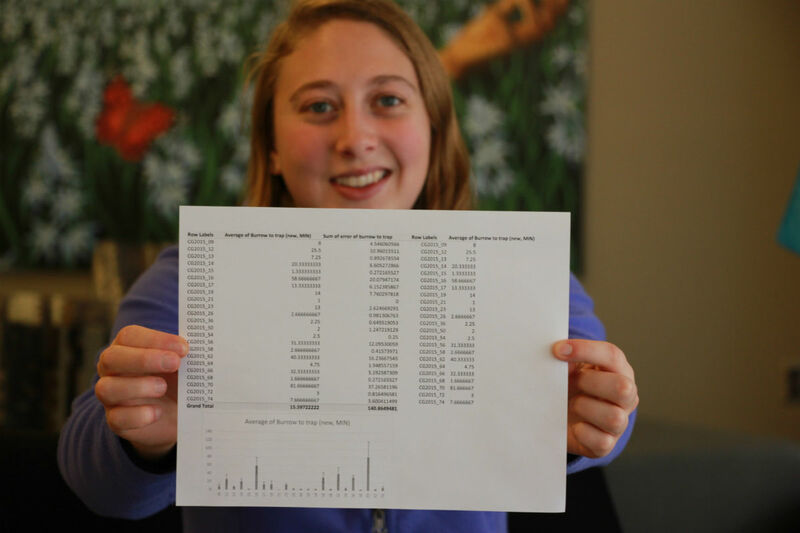 Whetzel was presented the research opportunity through her advisor, Janet Rachlow, a professor in the College of Natural Resources Department of Fish and Wildlife Sciences. To study rabbit personality traits, Whetzel and the team went to a study site in Leadore, Idaho, in 2015. Pygmy rabbits live in sagebrush landscapes like those surrounding Leadore, in western Idaho near the Montana border. “I was able to work in a part of Idaho I wasn’t very familiar with and spend a summer in a high desert ecosystem,” Whetzel said. In Leadore, Whetzel and the research team set up live traps along the rabbits’ burrowing holes. They came up with a system of three time-to-emergence trials, where they observed how quickly the rabbits emerged from their burrows into the traps, and then from the traps into handling bags. After this initial step, they released the rabbits into the middle of a circle with a one-meter radius, and timed the rabbits as they scattered. In this process, they hoped to place the rabbits on the shy to bold personality scale, and to see if males or females were more likely to have certain personality types. 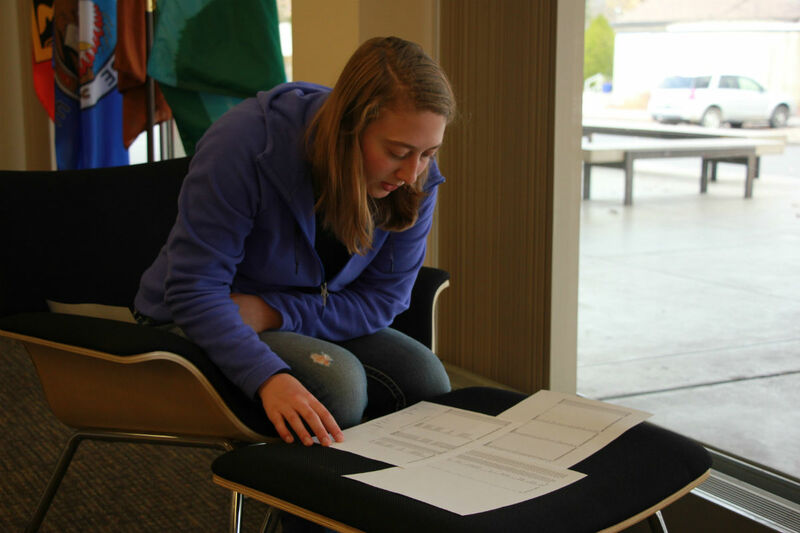 Whetzel reviews her data in the Pitman Center. Whetzel received an OUR Travel Grant. Learn more. The chance to work directly with animals in their natural environment was a highlight for Whetzel. The researchers compared the results of the timed trials to the handling bag trials and then compared that conclusion to a previously established docility test to determine whether or not the docility test was a good way to measure personality. The project is still ongoing — further research has to be conducted to find a concrete conclusion determining whether the docility test is accurate and whether pygmy rabbits have personality. Despite the inconclusiveness of her work, Whetzel still highly valued her experience. Whetzel spent a summer in Leadore, Idaho, studying pygmy rabbits in the wild. The chart illustrates some of her findings.